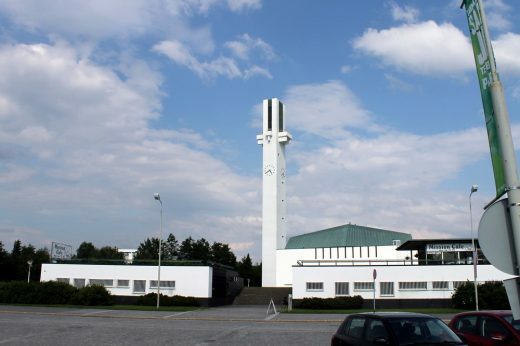 It is 40 years since the death of world-renowned Finnish architect Alvar Aalto. It includes 15 buildings around the world: city halls, theatres, private homes, cultural centres and churches. 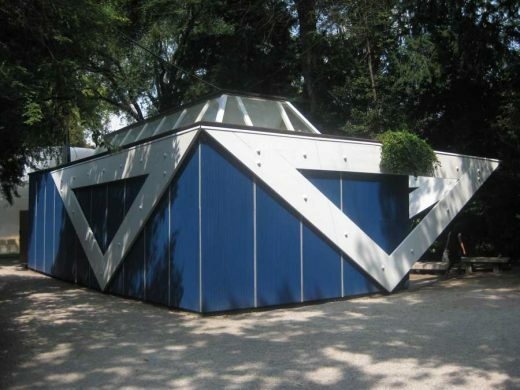 See his architecture in Finland, Denmark, Germany and US and learn more about the designs. photo : Thermos, CC BY 2.5. 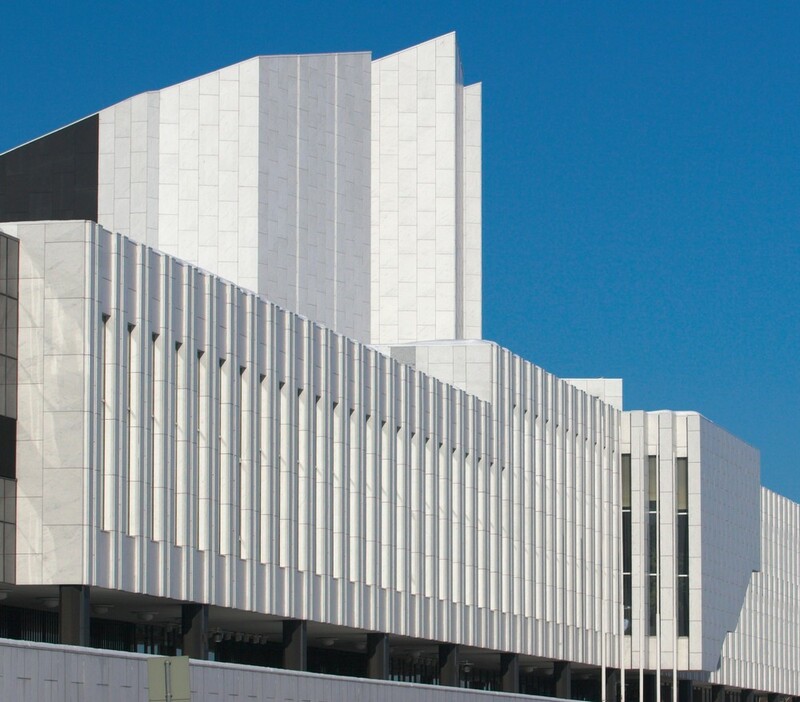 Finlandia Hall is often considered one of the true masterpieces by Alvar Aalto. The name of the building illustrates the significance with which the building is charged. Aalto himself saw Finlandia Hall as a symbol of an independent Finland. photo : TDaderot, CC BY-SA 3.0. The Baker House is a student dormitory at the Massachusetts Institute of Technology in Boston, U.S. The building is one of the most prestigious works of art designed by Alvar Aalto overseas. From the website you can also find new information about the buildings that illustrates well Aalto’s practical and comprehensive design philosophy. – In the Paimio Sanatorium, a tuberculosis sanatorium built in 1930’s, alongside the grand design of the building, he took the patient comfort and well-being into account in many ways. Aalto knew that the patients would share rooms, so he designed non-splash basins so that the patients wouldn’t disturb each other when washing. He also designed sunning balconies at the end of patients’ bedrooms because in the early 20th century the only known cure for tuberculosis was to spend time outside in the sun. – Aalto’s love for nature, skylight and practical design is visible in all of his buildings. Kunsten, the museum for modern art in Aalborg, Denmark, uses light colours and utilises the skylight to illuminate the museum in strategic ways. 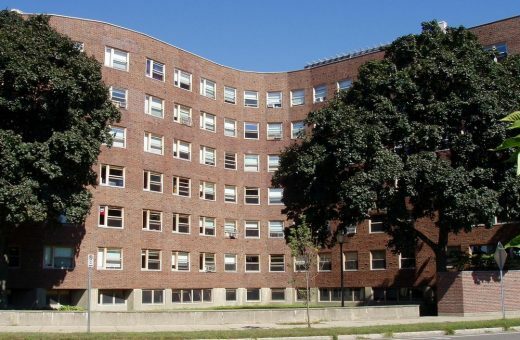 Baker House, a student hall of residence at the MIT campus in the US, was designed to a form of a wave because Aalto wanted as many students as possible to face the Charles River and the woods instead of a busy road. – Aalto designed various concert halls and churches where he wanted to make sure the space is multi-use, light and pleasant, and the acoustics is outstanding. In the Church of the Three Crosses in Imatra, Finland, moveable doors enable the use of the church for parish activities. In the Finlandia Hall, the towering structure of the building was made to improve the acoustics of a 1700-seating concert hall through resonance. photo : Kreegah, CC BY-SA 3.0. 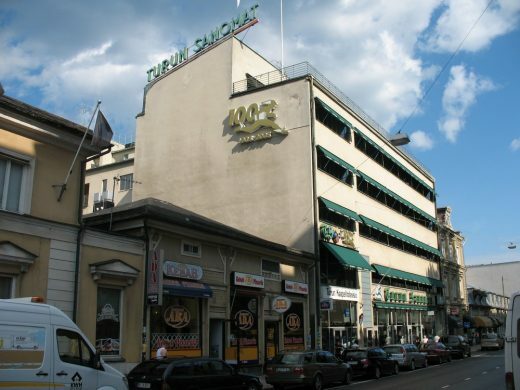 Alvar Aalto started working on the Turun Sanomat building in 1928 and fully finished in spring 1930. The building was known for its multipurpose setup, including printing presses in the basement, rented shop facilities on street level, a newspaper office on the floor above and even a luxury flat with a roof terrace on the top floor. photo : Mädsen, CC BY-SA 3.0. Lakeuden Risti Church was built between 1958 and 1960 and is located in Seinäjoki, Finland. The church gets its name ‘Cross of The Plains’ from its 65-metre-high bell tower which is shaped as a stylised cross. Pioneering design by Alvar Aalto and breathtaking architectural photography by Ola Kolehmainen. This summer, the art, architecture and design of Finland will be celebrated in London. Reason & Intuition – Alvar Aalto & Ola Kolehmainen in Soane is a new exhibition bringing together the finest works of an acknowledged great of international modernist architecture and design and three collections of images by an acclaimed Finnish photographer. In June 1959, the French art dealer and collector Louis Carré moved with his third wife Olga into the house designed by Alvar Aalto in Bazoches-sur-Guyonne, some 40 km southwest of Paris. Combining architecture, furniture and landscape, Maison Louis Carré is the architect’s only remaining building in France and one of his most remarkable private houses. May 26, 2016 in Architects.